Prototype: Dutch State Railways (NS) class 1800 fast general-purpose locomotive with road number 1828 and the coat-of-arms for "Apeldoorn". Built starting in 1976 as the class 1600. Painted and lettered in the classic Dutch paint scheme. 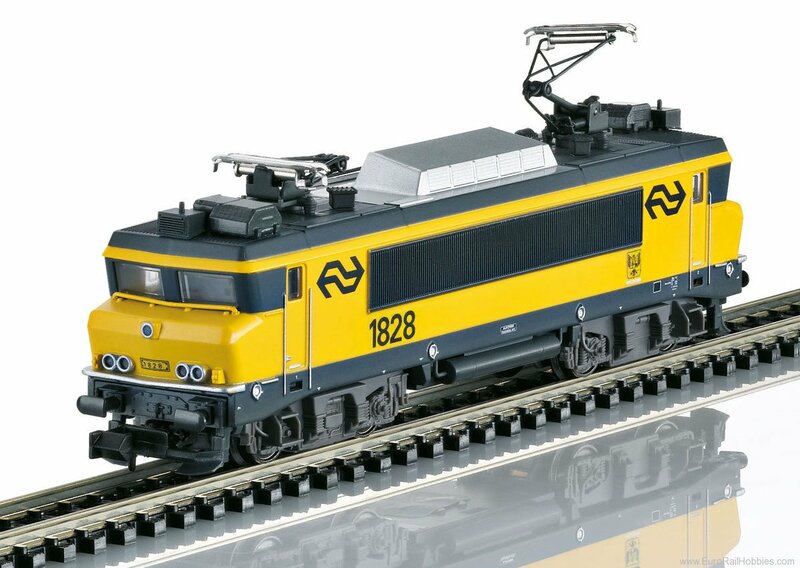 Model: The locomotive has a built-in digital decoder for DCC, Selectrix, and conventional operation. The locomotive has a 5-pole motor with flywheels. 4 axles powered. Traction tires. The locomotive has a close coupler mechanism. It also has LED headlights and marker lights that change over with the direction of travel and that can be controlled digitally. Length over the buffers 109 mm / 4-1/4".